Ryan Scherle and Jane Greenberg. A Repository of Data Underlying Journal Articles. 5 Data archiving practices Sampled 27 papers from 5 different journals. 41% had supplemental materials. But only 7% included raw orphan data. – Exceptions included simulation results and sequence alignments. – Still, 67% of papers using alignments did not provide them. 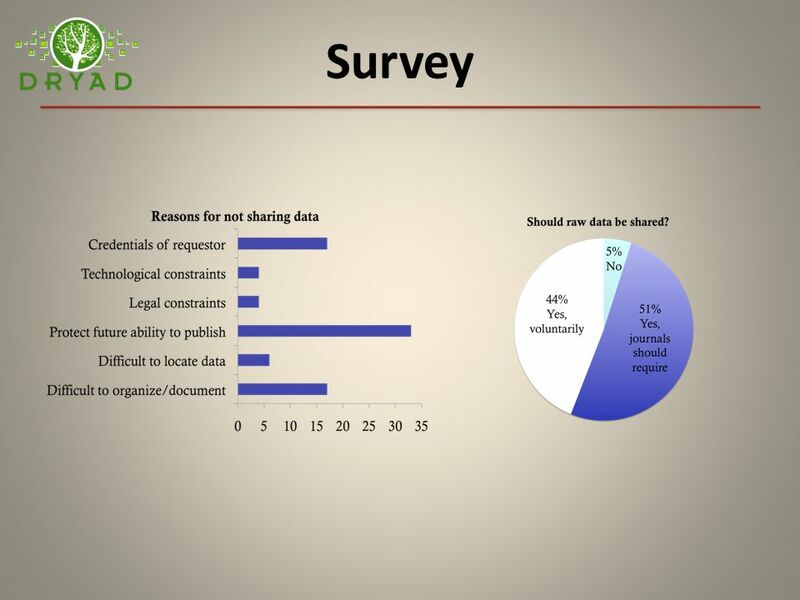 78% analyzed data not deposited in any repository. 48% were based at least in part on data from other publications. 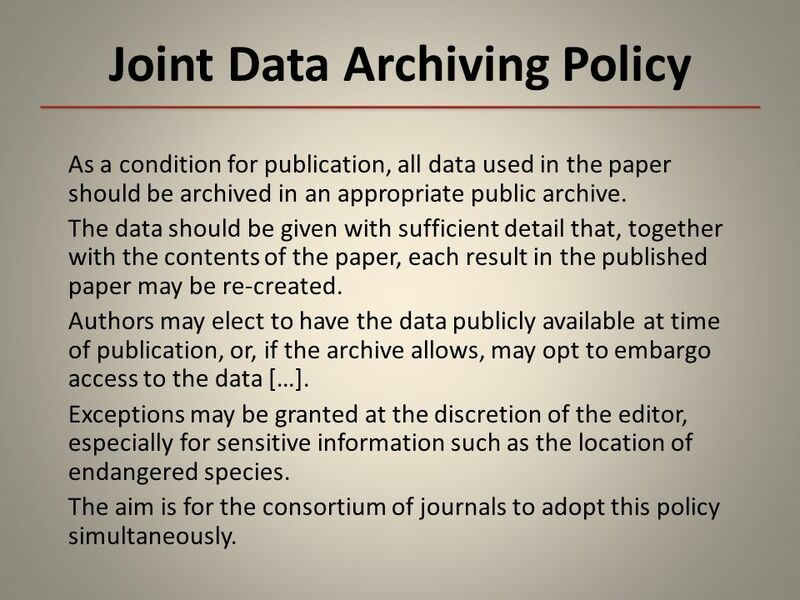 7 Joint Data Archiving Policy As a condition for publication, all data used in the paper should be archived in an appropriate public archive. The data should be given with sufficient detail that, together with the contents of the paper, each result in the published paper may be re-created. Authors may elect to have the data publicly available at time of publication, or, if the archive allows, may opt to embargo access to the data […]. Exceptions may be granted at the discretion of the editor, especially for sensitive information such as the location of endangered species. The aim is for the consortium of journals to adopt this policy simultaneously. 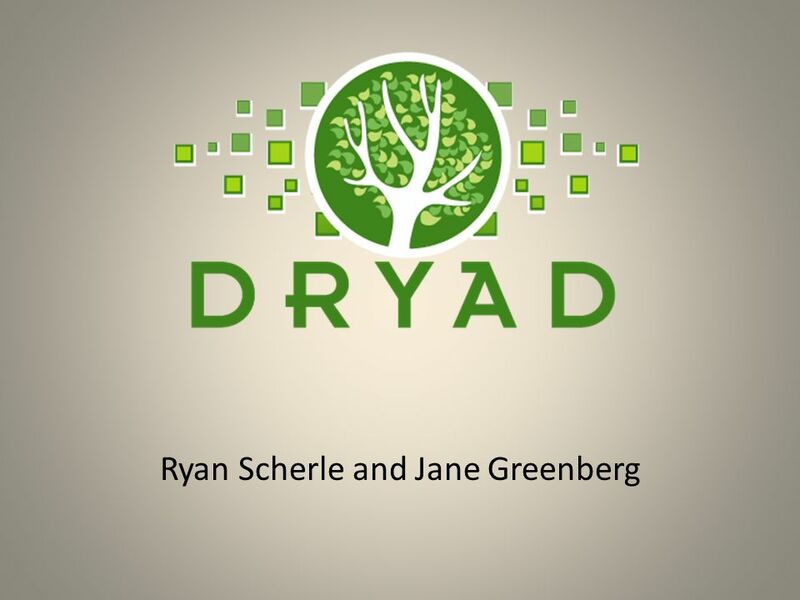 Download ppt "Ryan Scherle and Jane Greenberg. A Repository of Data Underlying Journal Articles." 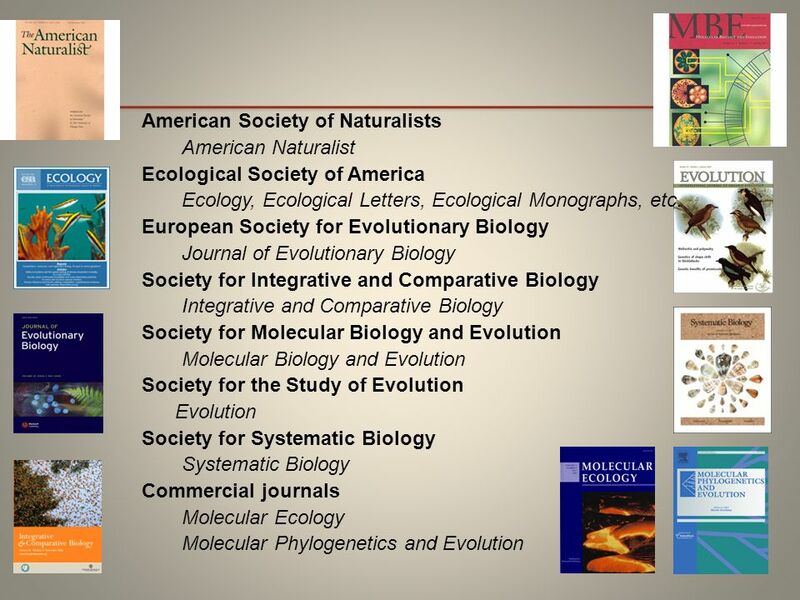 Introduction The field of evolutionary biology draws from ecology, paleontology, population genetics, physiology, systematics, and new biological sub disciplines. Jane Greenberg SILS/Metadata Research Center School of Info. & Library Science Univ. of North Carolina at Chapel Hill The DRYAD Repository. Building Support for a Discipline-Based Data Repository Ryan Scherle 1, Sarah Carrier 2, Jane Greenberg 2, Hilmar Lapp 1, Abbey Thompson 2, Todd Vision. 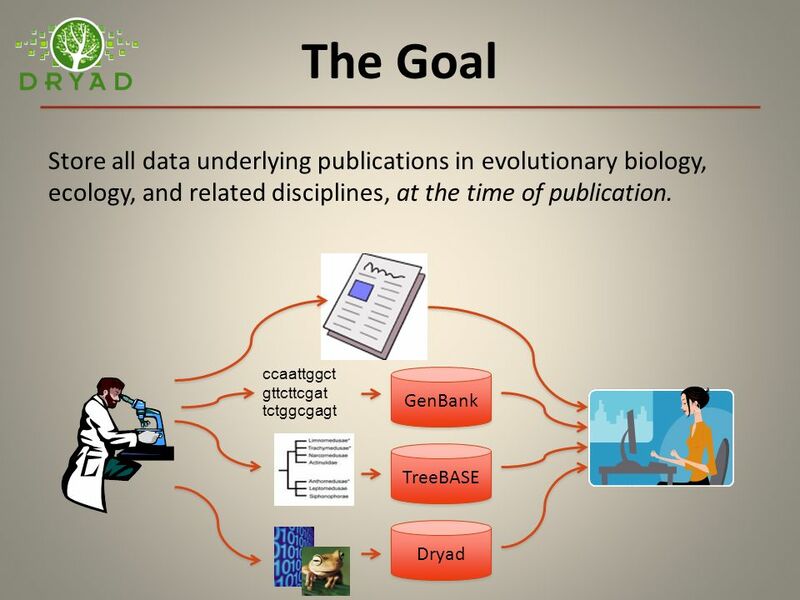 The Dryad Data Repository Ryan Scherle National Evolutionary Synthesis Center. Evolutionary biology Population genetics Systematics Paleontology Botany and Zoology Genomics Ecology Medicine Agriculture Anthropology Bioinformatics. 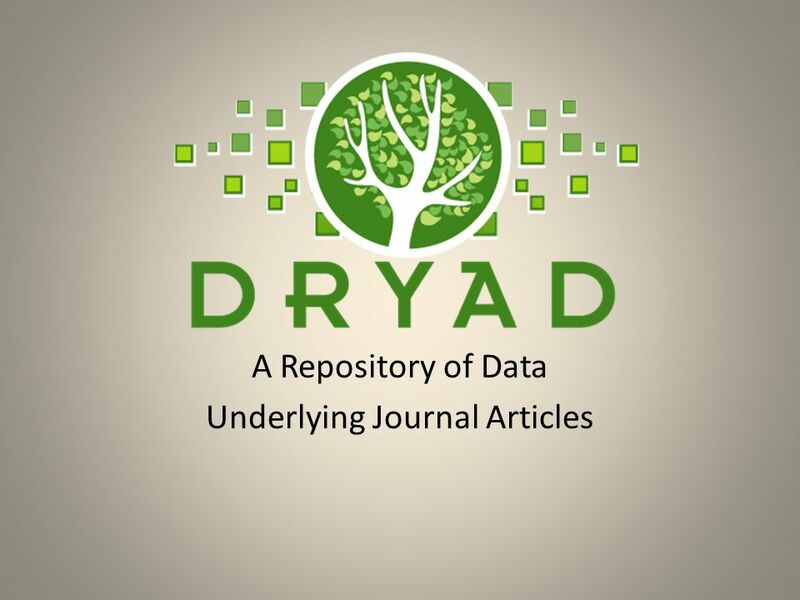 The Dryad Data Repository Ryan Scherle 1, Hilmar Lapp 1, Amol Bapat 2, Sarah Carrier 2, Jane Greenberg 2, Peggy Schaeffer 1, Todd Vision 1,3, Hollie White. Source-to-Output Repositories Aspects of repositories use: employing an ecology-based approach to report on user requirements in chemistry and the biosciences. How to publish genomic Data papers based on BOL data - Biodiversity Data Journal Lyubomir Penev Bulgarian Academy of Sciences & Pensoft Publishers ViBRANT. 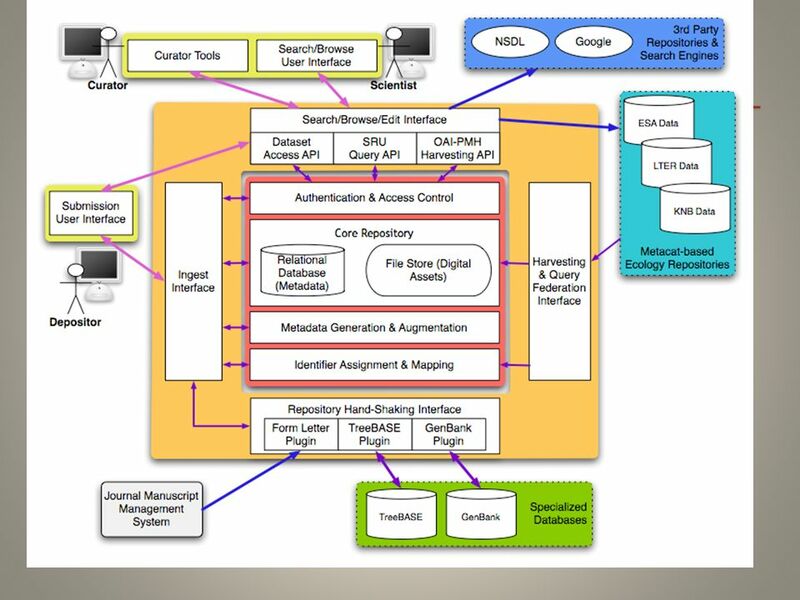 Current status Todd Vision (overview) Elena Feinstein (curation) Ryan Scherle (demo) 7/23/12Dryad Board of Directors1. Biomedical Journals’ Standards for Digital Images in Biomedical Articles Addeane S. Caelleigh * and Kirsten D. Miles + *UVa School of Medicine; former. Data archiving in evolutionary biology Michael Whitlock. PEER Publishing and the Ecology of European Research An introduction to: February 2009 Supported by the EC eContentplus programme. 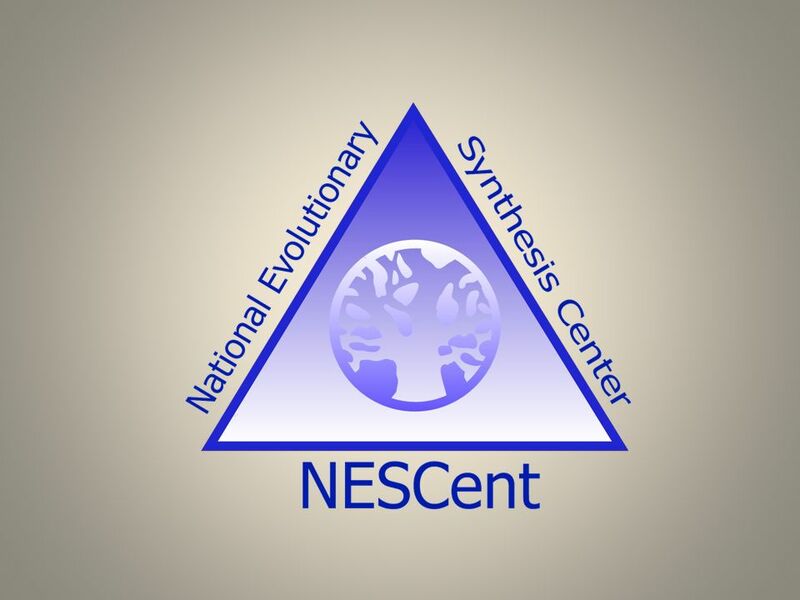 Helping Helping Interdisciplinary Vocabulary Engineering Ryan Scherle – National Evolutionary Synthesis Center Jose Aguera – University of North Carolina. ARC: Open Access and Research Data Justin Withers Director, Policy and Integrity Australian Research Council. Making small data big! The Biodiversity Data Journal (BDJ) Lyubomir Penev, Teodor Georgiev, Pavel Stoev, David Roberts, Vincent Smith ViBRANT. 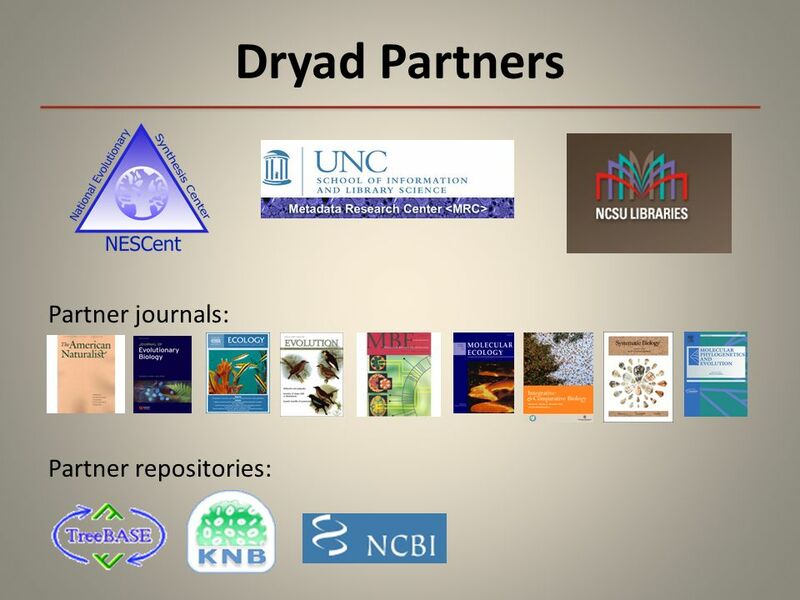 Jane Greenberg, CCI/Drexel University Director, SILS Metadata Research Center Dryad RDA Domain Repository IG. 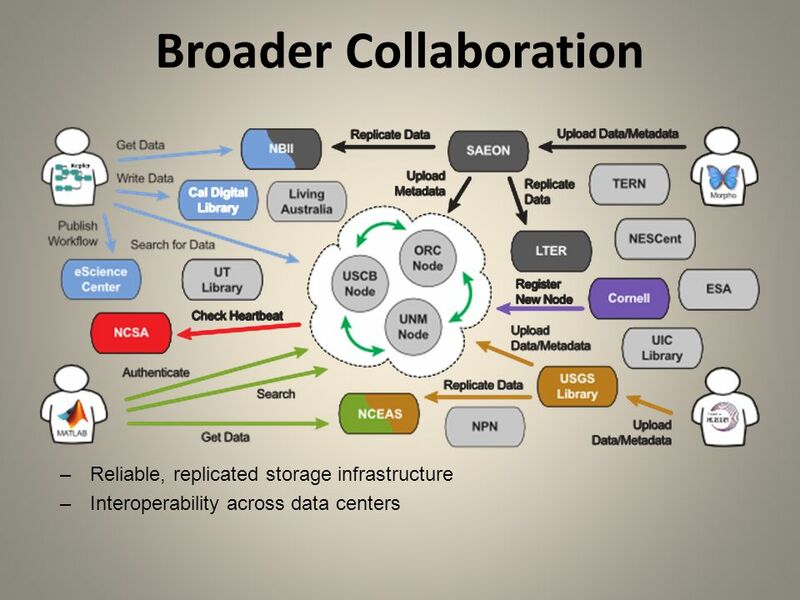 ODIN – ORCID and DATACITE Interoperability Network ODIN: Connecting research and researchers Sergio Ruiz - DataCite Funded by The European Union Seventh.